Your solid sent can be used as a perfume, after shave, hair balm, hand and cuticle cream, they soften your skin. 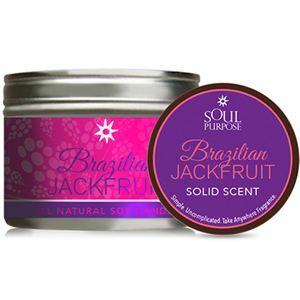 Our solid scents are made from beeswax, soybean oil, sweet almond oil, vitamin E, and essential perfume oils, while our soy candle is perfect for fragrancing and illuminating your environment without harmful toxins or parabens. Light our all-natural candles anytime to relax, de-stress and uplift. 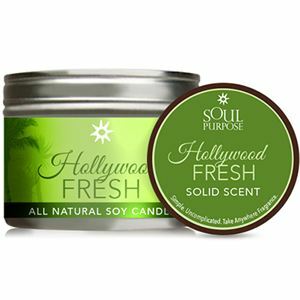 Includes: Hollywood Fresh Candle (1) and Hollywood Fresh Solid Scent (1).